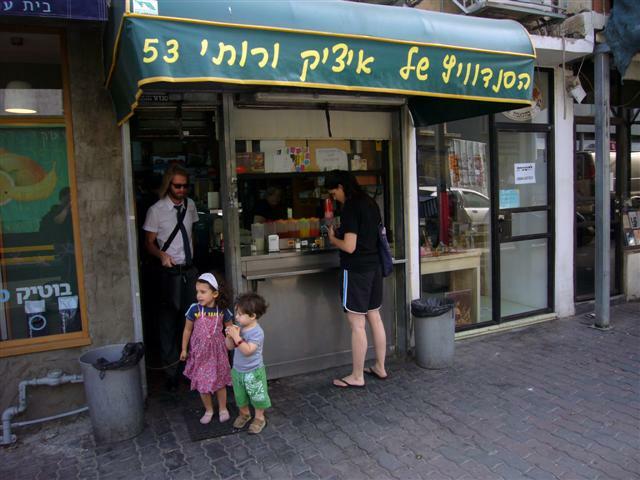 Itzik and Ruti sandwich place is one of the mythical places in Tel Aviv that everybody knows and probably ate there. This friendly couple report for duty everyday (Sun.-Fri) at 05:00 to fill the demand of the masses that swoop in, and they close around 12:00pm when most of the food is over. 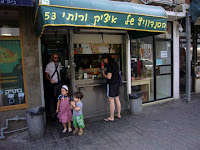 Itzik and Ruti serve the best sandwiches in Tel Aviv. You choose the size and type of the bread (whole wheat, ciabatta etc.) 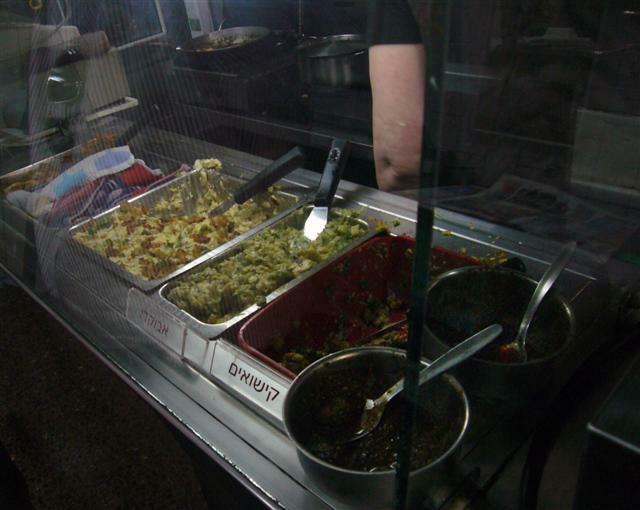 and fill it with one of their magical fillings such as eggplants, egg salad, avocado, tuna salad etc., and some vegetables if you like. Simple, but so good! Turn to Sheinkin from King George and just go stright all the way to the other end of the street. It will be on your left. Click here to see walking directions on the map (from King George).